As conservation scientists concerned with global depletion of biodiversity and the degradation of the human life-support system this entails, we, the co-signed, support the broad conclusions drawn in the article Key role for nuclear energy in global biodiversity conservation published in Conservation Biology (Brook & Bradshaw 2014). Brook and Bradshaw argue that the full gamut of electricity-generation sources—including nuclear power—must be deployed to replace the burning of fossil fuels, if we are to have any chance of mitigating severe climate change. They provide strong evidence for the need to accept a substantial role for advanced nuclear power systems with complete fuel recycling—as part of a range of sustainable energy technologies that also includes appropriate use of renewables, energy storage and energy efficiency. This multi-pronged strategy for sustainable energy could also be more cost-effective and spare more land for biodiversity, as well as reduce non-carbon pollution (aerosols, heavy metals). Given the historical antagonism towards nuclear energy amongst the environmental community, we accept that this stands as a controversial position. However, much as leading climate scientists have recently advocated the development of safe, next-generation nuclear energy systems to combat global climate change (Caldeira et al. 2013), we entreat the conservation and environmental community to weigh up the pros and cons of different energy sources using objective evidence and pragmatic trade-offs, rather than simply relying on idealistic perceptions of what is ‘green’. Although renewable energy sources like wind and solar will likely make increasing contributions to future energy production, these technology options face real-world problems of scalability, cost, material and land use, meaning that it is too risky to rely on them as the only alternatives to fossil fuels. Nuclear power—being by far the most compact and energy-dense of sources—could also make a major, and perhaps leading, contribution. As scientists, we declare that an evidence-based approach to future energy production is an essential component of securing biodiversity’s future and cannot be ignored. It is time that conservationists make their voices heard in this policy arena. Associate Professor Phillip Cassey, School of Earth and Environmental Sciences, The University of Adelaide, Australia. Note: Affiliations of signatories are for identification purposes, and do not imply that their organizations have necessarily endorsed this letter. Brook, B. W., and C. J. A. Bradshaw. 2014. 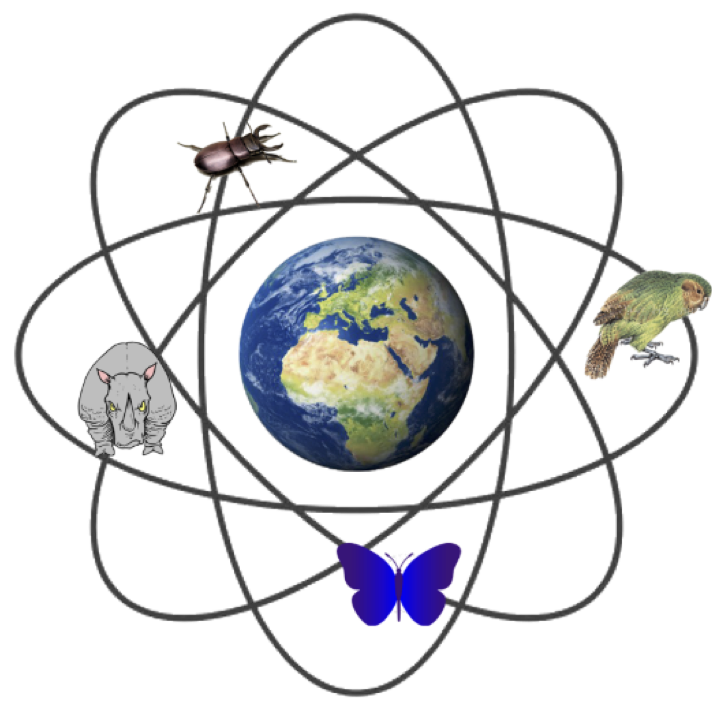 Key role for nuclear energy in global biodiversity conservation. Conservation Biology doi:10.1111/cobi.12433. Caldeira, K., K., Emmanuel, J. Hansen, and T. Wigley. 2013. An Open Letter to those influencing environmental policy but opposed to nuclear power. CNN. http://edition.cnn.com/2013/11/03/world/nuclear-energy-climate-change-scientists-letter (Accessed 14 March 2014). There are many problems with this proposal. First, it visualises climate change as the major issue to be addressed whereas the fact is that this is one of the symptoms of our economic growth oriented society requiring ever more energy from the cheapest sources available across the globe. The major solution to this problem is to scale back on economic growth while switching to local renewable sources of energy. The signatories, in effect, ignore the point that because of the large scale of nuclear energy production it would help maintain the existing centralised large scale system of power distribution whereas it would be better from an environmental viewpoint to be decentralising energy production and use. Then of course there is that other major problem of the perpetuation of warring, and the refusal of the dominant nations to give up on nuclear weapons. Finally there is the problem associated with the risks and dangers associated with nuclear power stations as has been well demonstrated by the Fukishima disaster. Take a visit to Jarvis Bay and you will be able to find the concrete footings of what was to be a nuclear power station until the Australian Government opted out. They are a few feet above sea level in a coastal area which according to experts is subject to a tsunami event on average every 250 years. The power station site is now in a national park. I suggest you send this letter from Brook and Bradshaw to all Australian politicians, including the Green ones and urge them to open their minds and get Australia on board with nuclear power as most of the rest of the developed world have been doing now for some years. Political bipartisanship [Labor and Coalition] at least is essential before anything can/will be done. If the Green ones know that champion Greens, Lovelock and Moore are on board then they just might lend their support as well. But don’t hold your breath. Many of them will NEVER be persuaded by fact or reason. And anyway, Labor/Coalition support will be enough. It is sad but true that eventually many folk of good will who have, often for decades, considered themselves to be environmentalists will not be able to reappraise their strongly held anti-nuclear power convictions and will thus cease to be participants in the debate that must be had. Next step, a message from the global medical fraternity? Or, perhaps, a message from marine biologists and managers of the world’s commercial fisheries? Interesting that neither of these two comments address the fundamental issues. Is that because support for nuclear energy is a matter only of faith and not facts? to take one example ‘what would be the effect of if nuclear power stations were bombed or sabotaged?’. Most of France’s nuclear power stations are located along major rivers – no problem there from their devastation? just so nobody is in any doubt, the footings at Jervis Bay were for the Navy’s torpedo storage, later cancelled. The selection of a nuclear reactor for Australia was never completed, & simply held in abeyance by the McMahon government before being dropped. There cannot therefore have been any engineering blueprints, therefore no building permits, or footings put in, for any reactor at Jervis Bay. The other assertions would also appear to be simplistic fringe view of the world designed to deny the poorest 2/3 of people any improvement in their standard of living. John Mosley, please do some reading on the current state and growth of nuclear power around the world. It seems that your concerns about it are stranded back in the last century. It’s pretty obvious that the rest of the western world and some developing nations have rightly concluded that all of the negatives about nuclear enunciated by the anti nuclear lobby, including yourself have no foundation in fact. You and other anti-nukes need to address one question: If nuclear is so dirty, so dangerous, so costly so everything else, then why at present, are 32 countries, including Japan again, operating 436 reactors producing approx. 15% of the world’s electricity? Those countries and 17 others are currently building 71 reactors. Around the world another 174 have been planned and 301 proposed. China already with 28 is planning to build another 200 by 2030. If you’re not sure of the answer John then it’s probably because all of those countries wish to generate a safe, secure, reliable, affordable, adequate supply of BASE LOAD electricity and WITHOUT green house emissions. If you want to see fossil fuels, especially coal phased out over coming decades[ which I agree should happen], then they will have to be replaced with a generation form which can deliver an equivalent and some because of growth around the world. The renewables have not, and will not ever be able to do that. You might like to consider the following: Over the past 20 years, the world has spent $367 billion on subsidies for the renewables for a paltry 2.8% of the world’s electricity and with negligible green house emissions reduction. This has resulted in Germany and the UK to name just two, in 800,000 being disconnected from the grid because they can’t afford the cost of electricity. And in the UK lots of elderly have died because they can’t afford the cost of heating. This has all come as a result of electricity price increases thanks to mandated RET’s. How’s that for fiscal irresponsibility? And we’re going the same way here in South Australia. If you want more information on all of this John then log onto: abc.net.au/rn/ockhamsrazor, bring up Past Programs and check those for Sept 4th 2011, Jan 15th 2012, Mar10th 2013 and Feb 9th 2014.You will find the transcripts of the four talks I have given over the past few years. Go on John. Open your mind and just do it. I remain hopeful that when you learn the facts you might change your mind about nuclear, just like James Lovelock and Patrick Moore did many years ago. A site at Jarvis Bay on Commonwealth Territory was certainly selected for a 500 MW nuclear power station and the concrete footings were laid (you can see them there today). it was the McMahon Government that got cold feet and the project was abandoned for cost reasons. This kind of denialism seems to be a prominent feature of the pro-nuclear movement. I would not be surprised to learn that they supported the Fukishima plant when it was built. It does not matter how many times you say it, its not going to suddenly become true. Your complete lack of appreciation of the Commonwealth’s planning & construction procedures is very obvious. No reactor model was ever chosen. No contract was ever signed, No engineering study was ever done to even orient some potential reactor. No contacts for reactor footing were ever signed. No building permits were ever issued & NO reactor footings were ever poured. Your fantasy that some abandoned footings were in some way linked to the proposal for a nuclear reactor are simply your fantasy. You can look at them till you are blue in the face for all I care, there is no link between the old footings & the proposal of the site for a reactor (which incidentally never got selected, because there was no environmental impact study). If you are so certain, produce some evidence of commonwealth activity…. Just google it and if you go to the archives you will see a plan of “where the concrete had been poured” for the nuclear power plant footings, a map photographs etc. The project was abandoned in mid 1971. By the way i was very much involved with the movement against this proposal in 1969-1971. Environmental impact assessment had yet to be adopted in Australia. No you dont see that at all, & I note the distinctive absence of any form of a link in your reply, despite it being so easy to find. Links, documents, evidence, not fantasy…. The National Archives has a collection of documents on the Jervis Bay proposal, look there for your answers. Additionally the government did give the commission $2,29 million in 1970 for preliminary work. What that entails is in the National Archive records. Brendan Since you need a link go to http://www.archives.act.gov.au and type in ‘Jervis Bay Nuclear Power Station’. 5) There is no connection between nuclear power development and the development and use of nuclear weapons. Reblogged this on A Public Eye on Energy. 31 countries already have nuclear power. • Over 45 countries are actively considering embarking upon nuclear power programs. Countries that want a bomb do not get a reactor first because their first bomb has nothing to do with reactors. They get too many centrifuges or they otherwise enrich beyond 20%. Too many centrifuges is easy to spot and is a dead giveaway. So is enrichment beyond 20%. North Korea went the other, much much more difficult route of trying to make a plutonium239 bomb. Plutonium bombs are technically so difficult that few nations could do it. To make Pu239, you must “short cycle” a reactor. Short cycling is also easy to spot and a dead giveaway. If the plutonium contains 7% of other plutonium isotopes, the bomb will fizzle. You may as well use a conventional explosive such as RDX. At least one of North Korea’s bombs fizzled. I’m not sure if they faked any bursts with conventional explosives. Great paper … and brilliant getting the support from other experts! I have a comment on the paper … the use of a battery size to characterise renewables is interesting, but the thing about batteries is they are rechargable. Currently, Apple certify their batteries good for 1000 cycles. So I’d suggest that the 86,000 tonne battery should be an 86 tonne battery recharged 1000 times. That’s still huge. It’s roughly 286,000 Apple MacBook Pro batterys cycled 1000 times. As outlined in ANSTO’s submission to the energy white paper, many countries in our region have nuclear energy in their sights. Nuclear opponents, by perpetuating confusion in an undeniably technical topic and insisting on the status quo prohibition (though, lately, largely on economic grounds), would have Australia lag behind the region. They repeat that it could take 15 years to build reactors… but in 15 years we’ll probably have half a dozen neighbouring SE Asian countries operating nuclear facilities. Australia can’t stop other sovereign nations, NPT signatories, adopting civilian nuclear power, and by lagging, ANSTO contends we will in fact lose the highly regarded international influence that Australia now holds as a staunch opponent of nuclear weapons proliferation and proponent of safety and security. Your points are unworthy of this forum, having been addressed countless times. I will say that I want my young children to grow up facing broader opportunities and greater security and equality than I enjoyed thanks to my parents. Contracting the economy, tearing down capitalism or whatever it is some of these opponents really want will not facilitate that. They think the urgently required response to climate disruption is the perfect opportunity for this, and we wonder what planet they’re on. Affordable machines, technologies, transportation, consumables and countless other things are the result of centralised production. Imagine Lion Nathan and Kirin shutting all the breweries and then only selling homebrew kits. If you want beer, you need to invest the time in learning to make it to your taste, or go without, unless the law lets someone else sell you their surplus, and in the meantime all economies of scale are completely lost. Electricity is far more fundamental than beer to an advanced culture, but this expectation of distributed generation replacing power plants is in principle the same thing, and everyone who’s been caught up in the hype needs to go and visit the factory where their favourite affordable mass-produced thing is manufactured and see how vital dispatchable, dependable electricity is as an input. Fukushima was not all that bad if we’re talking about the true radiological impact. The economic and atmospheric impact of the political response, and the human toll of the prolonged evacuation – functions of deplorable lack of education and unscientific radiophobia, not at all helped by hysterical, opportunistic fear-mongering – were very bad. I’m just going to say it: Chernobyl is a red-herring because we’ll never see another RBMK operated on Earth. Including it in any assessment of nuclear power capabilities/benefits/impacts is pandering to nuclear opponents and is utterly irksome. Going forward, it will be US-derived pressurised and boiling water reactors of ever-increasing safety, then inherently safe pool-type fast reactors and gas-cooled reactors as well as molten salt designs. The deathlessness of the sort of accidents conceivable with these technologies is pretty well understood. Geoff, regarding the battery – this was a point we debated. The figure accurately reflects energy density, which was our primary intent, but doesn’t capture the recharging capacity of batteries – I agree. Yet arguably the 86 tonne figure is not the right on to use either. This is because the other ‘fuels’ (uranium, gas, coal) represent not only natural stores of energy, but also sources of energy to humanity. The battery, on the other hand, must be charged by something that generates power. It does not stand alone in the same way. So the comparison is intractably imperfect! Perhaps a better way to look at this comparison would be to consider the energy used by, say, a country in a day. That could be reasonably represented by a given amount of uranium, gas, coal and a NiMH battery capable of storing that single day’s energy (ignoring the infrastructure required to charge it). Would anyone care to calculate those number for, say, Australia, UK or USA? More and more environmentalists are embracing nuclear energy as key to a clean energy future. In the United States, the latest industry estimate of the cost of one nuclear unit is now in the US$13-15 billion range, including escalation, financing costs, initial fuel, contingencies and reserves. http://www.bellbend.com The questions to the papers authors and supporting academics is how many 100’s of nuclear plants do they envision needing to make a significant difference in climate change? and how much would this cost world-wide? and given the long time periods needed for licensing and construction, will it be too late to make a difference? Science can inform us, but it doesn’t tell us what should we do. Scientific method can provide us accurate information about different options, but it doesn’t tell us which one should we chose. We base our decisions on our values. I don’t mind opening debates about values in scientific journals but one should keep in mind that there is a distinction between reporting numbers and making a value judgement. Choice of weight function is a value judgement. I think that land use should be assessed in greater detail. Rooftop solar doesn’t require any additional land and solar farms in deserts and degraded lands have negligible impact on biodiversity. We should put less weight on land use in these cases. Similarly wind turbines are often used on lands which are also used for agriculture. This should be accounted for in weight function. The paper mentions breeder reactors as future nuclear technology but it fails to consider that other energy sources are anticipating development too. In particular, biofuels are critized several times for being destructive to landscape, but second generation biofuels are not considered. Second generation biofuels can utilize agricultural residues and waste (cellulosic ethanol), and can be grown on farms on marginal lands and desert areas (algae biofuels). If future nuclear is considered as a solution to problems of todays nuclear, then second generation biofuels should be considered as a solution to problems of first generation biofuels. I like the intent of this “open letter” by scientists, researchers, biologists, environmentalists, ecologists, etc. Far too many in the environmental community have the idea that the answer to global warming and probably every other environmental problem is renewable energy when a perfectly viable element of reduction in fossil fuel burning is nuclear power, albeit a relatively small part. posted 16 December 2014 at 4:37 AM by Enviro Equipment, Inc.
John Geoffrey Mosley, you’re operating with a set of false assumptions and old, discredited, half-baked theories. We’re talking about realistic solutions to real world problems here. May I have permission to reprint this on another blog? Scale back economic growth? That is the solution some commenters see as good? When the enviro-nuts be the change they want to see, by packing up to live a minimalist life in a developing country, consuming no oil and very little electricity, then we’ll talk. Until then, normal people don’t want to hear you. Seamus the realistic solution to environmental protection is to give up on the idea that we can go on increasing the number of people on the planet and their consumption without harm to the environment. That is the old and half baked paradigm that you and all those who believe in infinite growth in finite planet are wedded to. Your approach is one of mitigation (e.g. switch to nuclear) rather than dealing with the basic causes of degradation. If you want to get real you will recognise that the earth has limits and that a steady state economy is the solution. Yes Keith, anyone is welcome to reprint this, with attribution to the original source. In 1962 the AEC reported to JFK that all civilian power should be based upon the Molten Salt Reactor developed at ORNL in the 1950s; as it was the safest version of nuclear power. It can’t blow up, melt down and is walk away safe. It can be configured to burn the 97% of nuclear waste unspent fuel reducing the waste to a short term and magnitudes smaller amount. Renewable’s waste stream of Rare Earth Elements tosses away yearly enough of the super fuel Thorium that can power the entire planet using MSRs…the US needs to pass the National Rare Earth Elements Act in Congress and stop the Thorium problem in its tracks. Well, when the Fukushima plants were built there was no knowledge of a large tsunami hazard in the area. Compared to the threat from global warming, they definitely weren’t so bad. Fukushima notably affected an area of around 30km from the plant. Global warming affects a good bit more than that. As for Fukushima, yes lessons have been learned. With good regulation there is no reason for any plant to fail that way. Reviewing the comments surprised me. It would seem that the proposals critics have never heard of any method of harnessing nuclear power other than the light water reactor. It’s as if all the work done on pebble bed and liquid sodium thorium reactors had never happened! If such technologies are not taken into consideration then such critics are not serious people and can’t be taken as such. Human population is not, and will not, increase indefinitely. Period. If your wish is to reduce population expansion, the trick is to increase the standard of living. Switching to a minimalist survival agriculture model will INCREASE human population growth, with all the environmental damage that entails, simply because as child mortality climbs people will have more children so that at least some survive, much as happens in the underdeveloped countries. By contrast, if we remove the effects of immigration, the developed nations such as the USA, Canada, Great Britain, France, Germany, Spain, Italy, Denmark, Norway, Sweden, Iceland, Switzerland, Greece, Japan, Australia, New Zealand, and Israel, actually have a NEGATIVE population growth, as people have fewer children than is needed to keep the population stable. Nuclear power is seen, in this context, as a removal of the degradation caused to the environment by use of coal (for example) for power, and to sustain an acceptable standard of living for people. Steady state economy or not (and feel free to refuse a raise at your place of employment if you are offered one), humans are not limited purely to Earth- we have a whole solar system, which is currently uninhabited, to utilise for resources. In fact, were we to switch purely to mining asteroids for our metals, the global environmental damage from mining would be nil. Accepting poverty is no solution at all. posted 16 December 2014 at 3:02 PM by M. S.
Updated the signatory list. Now up to 73, with some big names in conservation science added. I think this open letter is a great idea. The planet needs us to win this argument. I have a couple of thoughts or suggestions. 1. It is said that we have 97.5% consensus on climate change, do we also not have 97.5% on the need/desirability/appropriateness/safety of nuclear power in this role? (i) The Fukushima incident released ~520 EBq of radioactivity. The natural radioactivity of the oceans is 16000000 EBq. Draw your own conclusion as to whether Fukushima has made more than the tiniest dent in the amount of radioactivity in the environment. (ii) Baseload electricity. Mark Diesendorf says baseload electricity is a myth. Ben Heard says it’s not a myth. Google baseload and draw your own conclusion. Make sure you google inside the ipcc.ch site. 106 hits, all about the need for baseload. My conclusion is that the idea the baseload does not exist is a fantasy of some of the renewable cheer squad that not even the whole cheer squad agrees on. (iii) The costs of nuclear power. Google costs & nuclear and see what you get. About half the hits are from the anti-nuclear church and they all say it’s too expensive. About a quarter are pro-nuclear and say it’s not too expensive. About a quarter appear independent (universities, government agencies) and guess what! They all say nuclear is competitive. My conclusion is that there is NO independent report which supports the idea that nuclear is too expensive. What is half life of nuclear?What is cumulative quantum of nuclear? Are we singularly and collectively stupid? Given your first two questions make as much sense as asking ‘What does purple taste like’, I’m only going to address your third question and suggest you’ve demonstrated the “singularly stupid” part. Pingback: Week in review | Climate Etc. Land-use per KWh delivered is the relevant measure. Power Plants produce ~2KW/m² electricity. However the ongoing uranium mine and processing dilute this towards <1KW/m². An 8MW onshore wind turbine uses ~100m². That is 80KW/m². However av. capacity factor is ~25%. That is 20 times better. Note that the land between wind turbines is used as usual. An 8MW offshore wind turbine doesn't use any land at all. So near endless higher energy density. Rooftop solar doesn't use any land at all. Note that covering all roofs with e.g. 21% efficient PV-panels generate already enough electricity for the whole country. So these renewable, which can supply all, have an energy density which is at least 10 times higher! Climate change (actually, excess CO2 in the air and on the surface of the oceans) IS the major issue to be addressed (unless you can prove that you can subvert the laws of physics). Thus any following conjecture based on your assumption that excess CO2 is NOT a major issue is false. You say that the major solution is to scale back on energy consumption – tell that to the BILLIONS that don’t have the energy to even (and rightfully) rebutt your second of false premises (you are only correct from the point of view that people like you and me can cut down a bit, as we already have computers and what not). Let me elaborate further: What would happen if everyone used exactly HALF the energy as the average American? The world would be consuming even MORE energy! 4th false premise, that we can’t have nuclear because an enemy can bomb it. While true depending on possible containment structure weaknesses, would be rendered entirely impossible if we REALLY want to address the major problem of excess CO2 (and subsequent depletions). Underground and hardened advanced reactors (that don’t require water for cooling) seem the way to go from there. True, we don’t want LWRs on rivers, however, continued opposition to ADVANCED reactors development will only guarantee that all we build old style reactors on yet more rivers – not good! I will end with your 5th erroneous premise – that economic growth is dangerous. Tell that to the BILLION who do not have adequate power supplies. Economic growth is required to build power plants so that they can have more than just a nearby stream for running water, quality food, education and so on. It is a false premise that a well developed planetary civilization must be “environmentally bad”.This is only assumed by people who can not see the good of science – such as leds, electric cars, better medical, better education, and, of course, advanced and RELIABLE power generation which wastes CAN be contained for the mere human timescales required until such time technology offers fusion (or better). It is good to know that a lot of scientists recognize that we need to master the power of fission in order to save the biosphere. Thanks! Great article, and nice to know that so many support nuclear energy. I notice too, that both Tony Abbott and Julie Bishop have called for a debate about nuclear energy. What a cop out! An abdication of leadership. They are saying, in effect, that the pro nuclear advocates should debate the matter with the anti nuclear brigade, and take action when all is agreed. Fat chance! Nothing will ever happen with this approach, which is what the anti nuclear lobby wants. But there is an obvious solution to the problem. Instead of waiting for a bipartisan situation to magically arrive, the Government should take the lead, and propose a significant role for nuclear energy in reducing our carbon dioxide emissions. Then we can all sit back watch the fights break out on the anti carbon left, many of whom support nuclear energy, such is their well founded despair about meeting radical decarbonisation goals with renewable energy. Think James Hansen at NASA, and Prof Lovelock, ( inventor of Gaia ), for starters. And then, locally, Ross Garnaut and Tim Flannery, Martin Ferguson and a host of others. A forthright Government policy proposal to provide a place for unsubsidised nuclear energy in our post 2020 RET would cause a huge split on the green left, and create an unbeatable alliance of interests between the Libs, the pro nuclear lobby, and climate skeptics generally, on the one hand, and a fair heap of the global warming worriers on the other. This approach has to be a political winner, isolating, as it does, the anti nuclear brigade as the radical proponents of deindustrialisation. Have you considered the mining impacts for solar and wind? You do no comparison – – as well as provide no sources for your information – – and seem to presume they are conjured from thin air, as you contend that one must consider mining impacts for nuclear, but leave associated impacts out of your consideration of renewables. Using already mined, but not fully exploited, fuel, in fast reactors, requires no additional mining. If mining impacts matter that much – – they don’t – – we can extract uranium from sea water. Have you considered much land and material (and associated extractive and processing activity) is associated with either storage or transmission, or both, for renewables to meet demand? What happens if its dreary and still for an extended period? How do you propose to accomplish the 6x overbuild? Above is the segment, starting at 00:30, is an environmentalist, and former nuclear energy campaigner (like several of us), discussing the issues. Have you investigated much material, and carbon footprint, is necessary to establish and keep stable an offshore wind turbine, and what is its climate impact? Respectfully, it seems you have not thought-through the hard issues all the way through. The issues have, however, been repeatedly addressed by others, including here, on this site. I hate to ask this because it implies that the people who signed and will sign this letter cannot be trusted. That is not my opinion but some otherwise reasonable members of the American left are responding to this by suggesting that the signatories may have financial or other vested interests in the nuclear industry. However, I can’t respond because I have no way of checking. Any public statement(s) that you could make on the subject would be greatly appreciated, and bravo for demonstrating how many people that understand the environment support the need for nuclear power. The American left (some of whom might actually be in the centre in other English speaking countries) are currently engaged in fighting against some powerful vested interests in the fossil fuel industry and the finance industry that are exerting undo influence over US policy. This is translating into fear that the US government cannot be trusted to regulate the nuclear industry. I am a Canadian “moderate” with extensive experience in industry. I share the “left’s” concern about climate change. I have every confidence that nuclear power is safe and that we are doing ourself a great disservice by not putting shovels into the ground today to build modern reactor facilities in order to mitigate greenhouse gas emissions. My late mother was on the board of directors of Atomic Energy of Canada Limited (AECL) at the time of the Chernobyl meltdown. AECL sent people to the Ukraine to investigate. I knew sometime before the rest of the public about the use of the reactor to carry out experiments beyond its design limitations. I found the Canadian nuclear industry to be relatively forthcoming regarding safety issues at Candu reactors. There have been many problems over the years but reactor designs have proven to be robust enough that the problems could be fixed. The industry is mature. I would like to be in a better position to promote it. My father who is 89 earned his degree in electrical engineering in 1951. He is very disappointed that nuclear power has not been more widely adopted. Now he is pretty certain he will not live to see a nuclear renaissance. Philip, as far as I’m aware, no signatory of the letter is in any way associated with or funded by the nuclear industry. They are conservation biologists and ecologists who work in academia and NGOs to preserve biodiversity. These are people of integrity who became scientists because they care about knowledge and finding out stuff — rather than how to secure a quick buck. Indeed, the ‘Shill’ is actually a very rare species among scientists, from my experience. Yet, as you rightly point out this jibe is often thrown at decent scientists whenever they express an opinion on a topic that, in some spheres, has some financial connection. Pathetic really, isn’t it? Barry, thank you so much for responding. Climate change is a political issue. One senior elected official in the US has stated that God governs the climate so it cannot be changed by man. As I recall he was made chairman of a committee overseeing spending on climate change research. There are monied interests defending the status quo. So I am a little more sympathetic towards the attitudes of my American friends even if I do not share them. Like it or not, your hat is now in the political ring. Has Helen Caldicott taken a shot at you yet? In particular, the throwaway line about “devastating economic growth”: try telling a poor family in sub-Saharan Africa that not only should they not aspire to have electricity or modern medicine, but that it is GOOD that 90% of their children die before the age of three, because improving their living standards, reducing child mortality and thus (as has happened everywhere else on Earth) reducing the number of children people have would be a BAD thing. So once you, and people like you, perform a mass-movement to live as subsistence farmers, eschewing all modern tools, transport and medicine, have your women give birth WITHOUT the aid of then come back to tell us all how great it is and you’d like us to join you, then and only then, will we listen. Because as long as it is you telling us what we should do, when you have not done it yourself, how can we believe you? It is many years since I was engaged in research into Uranium separation at Harwell, and recall that none of my colleagues were interested in the Thorium route to nuclear power. We took the wrong (Uranium) road because it produced plutonium for making bombs. it’s not too late to backtrack. I am grateful for your courage to speak out with the moral and ethical emotion and reason these crises demands of us. However, as a solar professional and clean energy advocate working with groups like 350.org, I want to draw your attention to new solar and wind numbers showing their greater feasibility over nuclear for replacing fossil fuels. Stanford Plan for 100% Wind Water and Solar for all global energy purposes by 2030-2050. 3% of GDP improvement due to healthcare cost savings from cleaned air. Globally we use ~12.5 TW, and will use ~17 TW by 2030. Switching most transport to EVs and electrolytic hydrogen will reduce it to 11.5 TW by 2030. Solar and wind capacity factors are typically 20% and 30-50% respectively (higher rates offshore). Approximately $44 trillion is estimated for 100% wind, solar and water conversion (removing existing dams with 2nd gen offshore wind). Last year saw a 16% increase to $310 billion in clean energy investment. We currently invest >$600 billion trying to find fossil fuel reserves (obviously stranded assets at this point, and simply waiting a new risk assessment), and spend over $7 trillion for energy worldwide, for fuel, services, subsidies, etc. This excludes most externalizations like pollution (3% of GDP in healthcare costs), and military intervention. This year may likely see a great tipping point on the risk assessment of the investments, helping bring an accelerating re-investment into clean energy. We can achieve a global majority in new energy capacity this year, and over 90% within 5. We need ~$2.3 trillion in clean and safe energy per year to achieve 80% emissions reduction by 2030. Once the $600 billion switches to solar and wind, further pressure will start to free up the $7 trillion spent on fossil fuels and their subsidies. Please do not despair. We have a chance. Last year was pivotal as wind and solar’s biggest, along a steady increase, doubling every few years, and now contributing majorities of new energy in more and more markets . The divestment movement is no longer obscure but bringing the onset of rapid re-investment into wind, solar, EVs, energy efficiency. I anticipate that 2016 will be the year of the Carbon Bubble, different from any crash/rebound before. Solar and wind are outpacing nukes in terms of cost, CO2 per kWh, and speed and ease of implementation (~25% of all new electricity production in 2014 was from wind and solar in the US). Therefor it can be argued that wind investment will reduce emissions faster than nukes and should therefore be the preferred investment. You could argue that nukes are a better investment than coal, oil or gas; but in reality wind and solar are competing for investment against not just fossil fuels but nuclear as well. Further, because of the inherent self-interest of fossil fuel corporations and politicians tied to these interests, they are needing to be forced into this transition. The fossil fuel industry has many common interests with nuclear, such as mining and utility interests; and collectively have discounted the feasibility of wind and solar to supply 100%. Wind and solar are inherently more distributed technically as well as politically. A harder argument for me is regarding decommissioning. I believe they all should be closed as soon as possible. However, I also recognize they are offsetting emissions. However, Mark Jacobson, and many others have shown a feasible path. And last year has proven it just might work. I hope we can come to a scientific and sound economic consensus that building new wind and solar is generally more effective regarding emissions reductions, but that further planning is needed regarding decommission existing plants in a manner that does not increase the risk of runaway global warming. You claim that wind capacity factor is 30-50%. In fact average worldwide wind capacity factor is about 24%. You can easily calculate it from the reports published by the World Wind Energy Association. Average PV capacity factor is not 20% either. Number matter – a lot. It seems to me that Jacobson’s view is very definitely in the minority. He says solar/wind is the best option. Brook, Bradshaw & 73 other say that nuclear is the best option. But, both options should be explored. Nonetheless, I’m hoping we are very close to a consensus that nuclear is the best option, like the issue of climate change, 3-5% dissenters should be ignored. Rent-seekers trying to monopolise government funding like Jesse Hunter should be scorned. How can you criticise the Koch brothers Jesse, when your behaviour is the same? Your gratitude and solidarity are a bit pyrrhic if you refuse to take the Open Letter’s message on board. 1. Dr Jacobson holds little credibility with the community of conservation scientists and other advocates who have a basic, unbiased understanding of nuclear energy. An example of why can be found at this article http://canadianenergyissues.com/2012/07/18/playing-with-peoples-lives-why-nobody-should-listen-to-mark-z-jacobson/ and links there-in. In his plan for New York, according to this article, http://theenergycollective.com/ed-dodge/301031/critique-100-renewable-energy-new-york-plan , a number of outlandish assumptions are presented as realistic, with staggering renewable energy buildout presented as achievable or even possible. This important peer-reviewed paper http://onlinelibrary.wiley.com/doi/10.1002/wcc.324/pdf shines a stark spotlight on the technical shortcomings of Dr Jacobson’s approach. It is valuable reading for anyone who supports an all renewables approach and wants to challenge the assumptions they choose to work with, without going so far as to challenge their assumptions about nuclear energy. If Dr Jacobson, other like-minded academics or their supporters have clearly explained their position with respect to the 2014 IPCC recommendation to dramatically increasing clean low-emission energy from nuclear power (and renewables and CCS-fossil sources) then I’ve yet to see a link to it. I can’t imagine what their explanation might be but I’m all ears. You want these signatories to reverse their recently stated position when statistics like this – http://talknuclear.ca/2014/09/nuclear-is-the-no-3-contributor-to-climate-change-mitigation-the-economist/#sthash.3BdaXfxZ “nuclear power ranked third overall and was credited for reducing 2.2 billion tonnes of C02 annually” – are publicly available for all who wish to honestly consider them. Personally, starting with publicly available numbers and analysis, I’ve satisfied myself that Australia’s best rates of solar and wind addition, with consideration of capacity factors but not cost or population growth, would take 37 years to meet 50% average (2013) demand. Well before this 50% RE level, escalating integration costs would dictate we divert capital from building fossil-fuel replacing capacity to simply trying to make what is already built perform as we need it to. Well before this level, the cost of replacing the aging wind and solar infrastructure from the early years would be ramping up rapidly, demanding a year-on-year higher rate of overall addition merely to “tread water”. The consensus on those celebrity renewables – wind and solar (rather than the fastest growing “renewable”: biomass combustion) – which you seek enjoys popularity but not a skerrick of the historical performance in decarbonising national supplies – performance that unbiased commentators, academics and policy makers recognise in nuclear energy. And lest my contribution be dismissed as anti-renewables, I want to see more solar, more wind – vis http://decarbonisesa.com/2014/10/27/nuclear-and-renewables-in-the-name-of-national-interest/ – but I also want to see their advocates being realistic about their limitations and not getting carried away with all the intensive, pervasive marketing and social engineering. Off topic news flash for you all: Major URANIUM documentary series starts Sunday SBS 8:30. Record it, and if it goes ‘Smaug’ on us maybe we can get a right of reply for Barry or someone… or at least hit the comment threads defending IFR’s and LFTR’s etc? Nice to see Geoff getting some editorial support, The majority of the comments for his articles are awfully abusive and show no appreciation of facts and logic. posted 14 October 2016 at 10:48 AM by Greg Kaan.